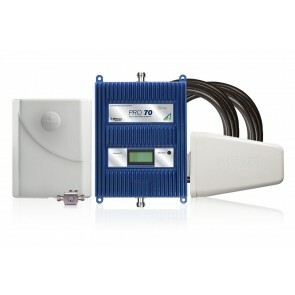 With 1-2 bars of outside signal, no single booster system will be able to cover an area of 3,000 sq ft or more, so you'll need multiple signal booster systems to provide the necessary coverage. With a weak 1 to 2 bar existing outside signal, our most powerful consumer systems below will only cover up to 2,000 sq ft inside. To cover up to 3,000 sq ft, you will need to use multiple systems. Please call us at 800-590-3564 or email us and we can help you choose a solution. 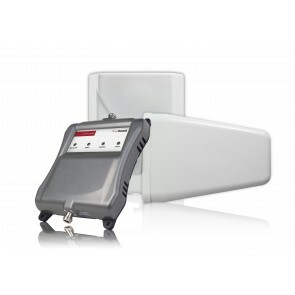 Best for areas where you don't need long cables and have a weak to medium outside signal.